Justin Henderson revealed on Tuesday that he is no longer driving for Throne Motorsports. Both Henderson and Throne Motorsports twitter accounts announced the move. Thanks to @TMotorsports83 for the last year together. My family and I have had fun and we appreciate all the hard work from everyone involved. I am seeking a ride for the rest of the season and of course the Nationals as @knoxvilleraces is one of my favs. 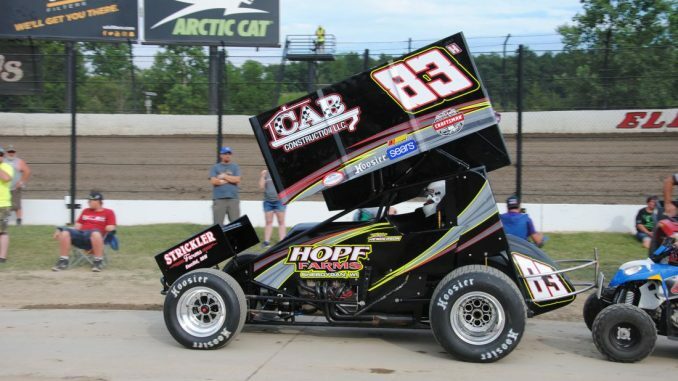 Henderson teamed up with Torone last season finishing their time together last weekend at the Kings Royal where they did not make the feature during the three nights of racing.